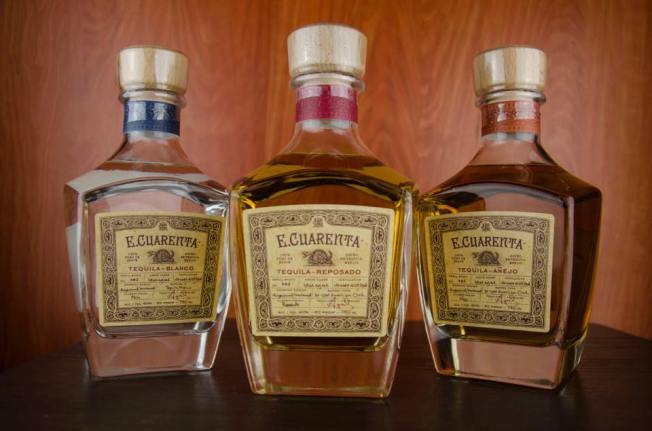 East Bay rapper E-40 unveiled the first look at his new E. Cuarenta Tequila line. E-40's latest foray into the world of alcohol comes in the form of a tequila line. The East Bay rap star and beverage mogul (born Earl Stevens) unveiled the first look at his E. Cuarenta Tequila (Spanish for E-40) on social media Monday. "I have waited for the right time to launch my tequila," he wrote on Facebook. "I have spent years and many trips to different distillers in Mexico working with master blenders to find just the right product and taste profile. I have selected a small boutique distillery that still uses the old world process of making tequila alone with modern facilities for quality and product consistency." E-40 has achieved a lot of success in the adult beverage world since launching his Earl Stevens Collection wine line in 2013, employing the same tireless work ethic he has always had as an independent music artist to secure a wide distribution network for his drinks. He's courted big chains like Safeway and Costco. From wine, he expanded to the ready-to-drink cocktail world with his Sluricane rum drinks, and into the malt liquor that originally inspired the E-40 alias — given to him as a kid because of his impressive consumption of 40-ounce malt liquors. He expects the Blanco, Reposado and Anejo varieties to be in stores in the next two months, well in time for Cinco de Mayo. He also plans to release a special Extra Anejo variety as a limited holiday edition.